Get flexible and purchase some 2x3.5 rectangle pads by BodyMed! 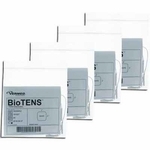 These TENS Electrodes offers the highest quality of reusable gel on the market. 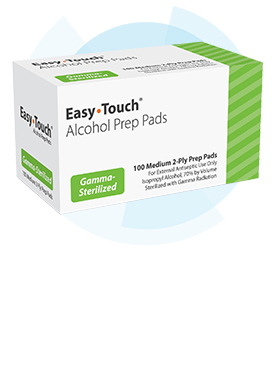 Since the Electrode Pads are pre-gelled, simply place them on the area, and when finished, place them back on the electrode pad (included). The better you care for the electrodes, the longer they will last. 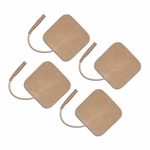 Carbon electrodes for use with TENS Units and Muscle Stimulators. 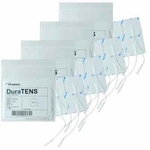 Quality TENS Electrodes means less replacement costs down the line. 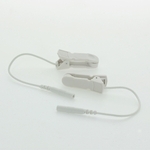 OTCWholesale carries the some of the very best TENS Electrode on the market. 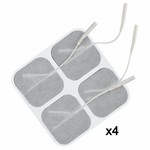 High Quality Electrode Pads will save you money in the long run by providing you with multiple use - For multiple treatments - before replacing. 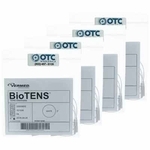 Prolong the life of your TENS Unit Electrodes by purchasing Pre-TENS Conductive Gel and Post-Treatment TENS Lotion, or get everything you need in our TENS Accessories Kit! Turn the stimulator off before applying electrodes to your skin. Plug the lead wire into the Pin Connector on the pre-wired electrode pad. To remove the electrodes from the protective liner: Lift the corner of the electrode pad and peel holding both the back of the TENS Electrode and the edge of the adhesive. Do NOT pull on the lead wires when removing electrodes from protective liner or skin. Then apply firmly to the skin. Adhesion improves when electrodes reach skin temperature. Retain the protective liner in bag for storage after use. 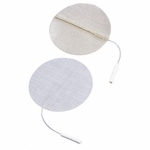 To apply to the skin: remove the protective liner from the TENS Electrode and apply to the prescribed location. 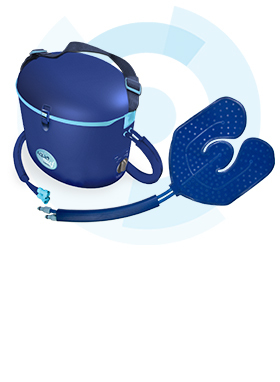 To improve the life and adhesion of the electrodes, moisten the skin with a damp cloth prior to application. Place the TENS Unit Electrodes on glossy side of storage card and remove the lead wires by gently twisting and pulling at the same time. Clean the skin with soap and water after removal. If rash or skin irritation occurs, discontinue use and contact your physician. Do not use while driving a motorized vehicle, or operating machinery. 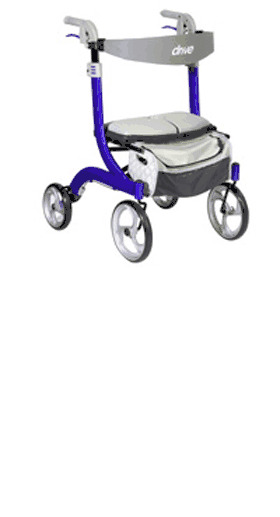 Federal Law restricts this device to sale by, or on the order of, a physician or other licensed practitioner. 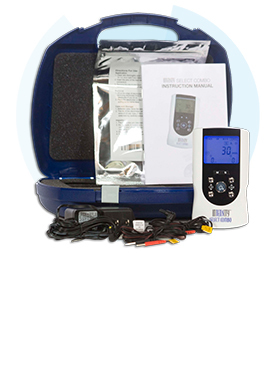 Use a neurostimulator approved for distribution within the USA. Don't: Pull on the wire at any time for removal. 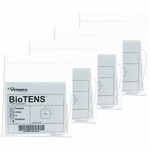 Save original liner and packaging for storage of tens electrodes. 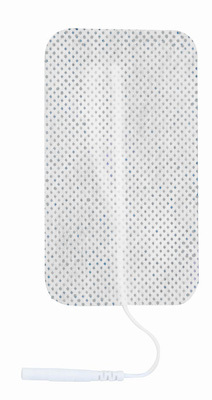 To apply to the skin:remove the protective liner from the TENS Electrode and apply to the prescribed location.